What a wonderful holiday season it's been! I hope that you and your loved ones are enjoying every minute of it. I've been so lucky with such wonderful groups this year, and I look forward to the year to come! I have a lot of exciting things that are coming up in 2018 and I hope that you'll join in on all of the foodie fun! 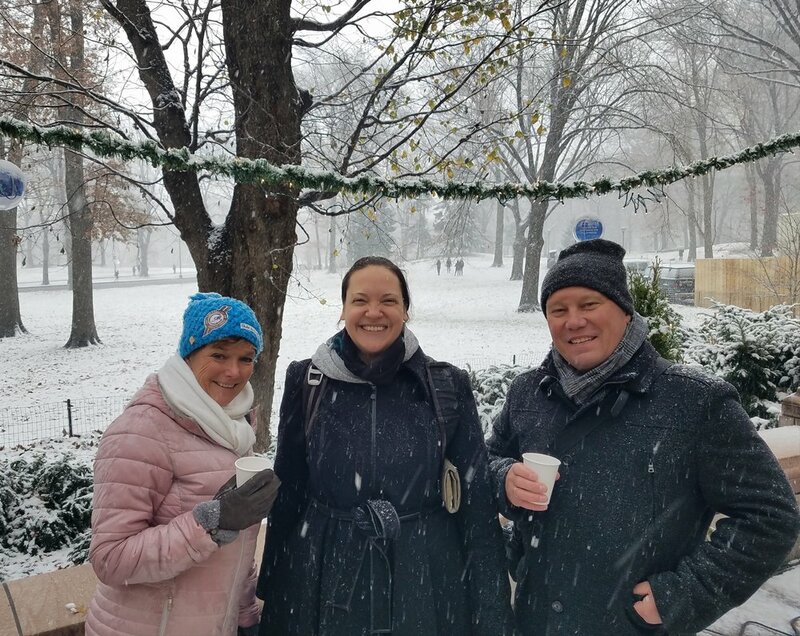 An extra special group for a New York tour guide--some Dutch guests enjoying the snow and hot beverages for a very festive feasting indeed! A birthday present for one and a day of fun for all! No better gift for a guide than to have repeat customers! They took the Holiday tour a couple years ago and wanted more! Grateful to my wonderful vendors each year, who keep each tour fresh and fulfilling! There were a couple of groups I didn't manage to get pictures from, but that doesn't mean those groups were any less fantastic! Many thanks, as well to all of my vendors who make this tour so special! The best hot chocolate around, from No Chewing Allowed! My very first vendors from my very first public tour! 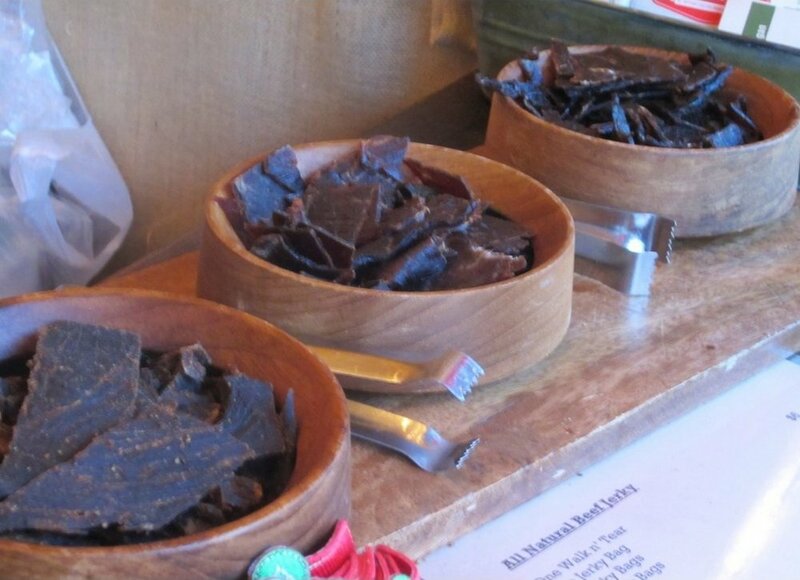 Clearly, I have to update my picture as Field TripJerky has gone from 3 varieties to 10 or so! Including different proteins and beautiful packaging! 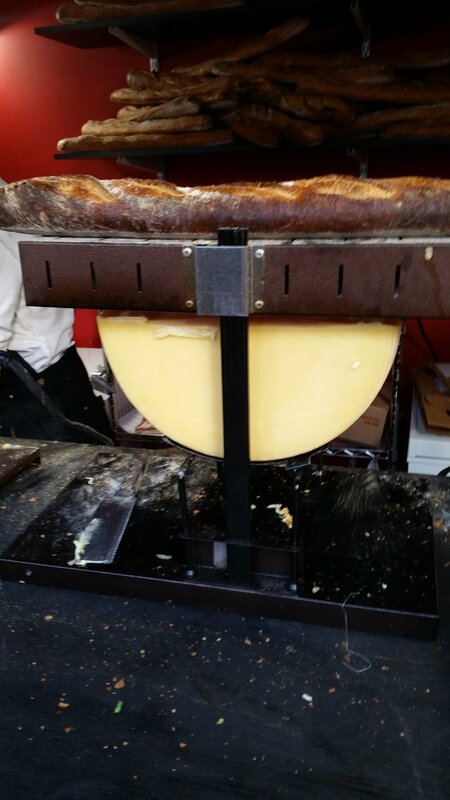 The raclette on a baguette from pop-up only in NYC Baked Cheese Haus was often a favorite for my guests. A little bit of the alps comes to NYC for the Holidays! 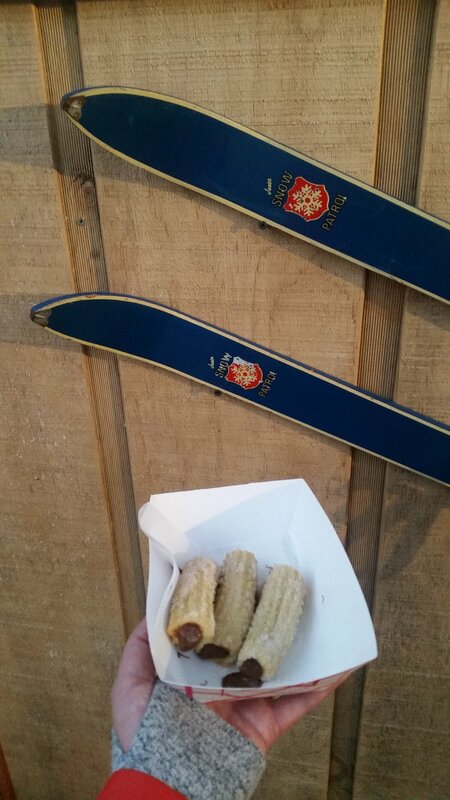 Sometimes filled, sometimes dipped, the churros from Dulcinea are always a hit! Duck Season was another favorite! Something unique and full of flavor--always filling and unexpected! 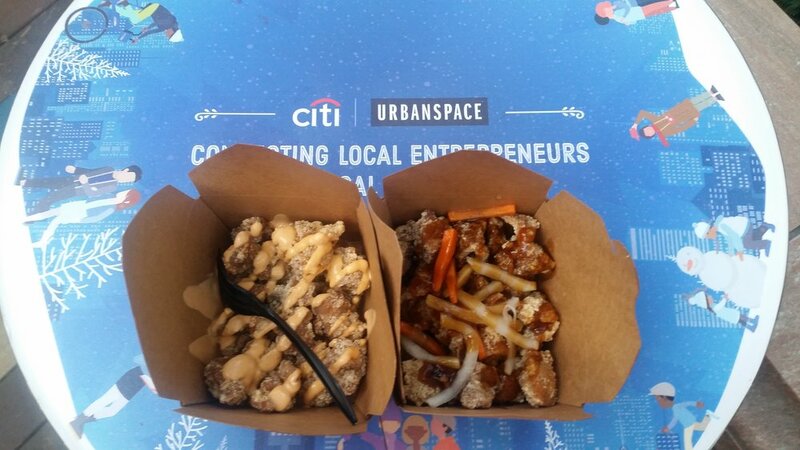 Bao by Kaya has a variety of delicious options, but the Popcorn Chicken is the best for sharing! Crispy, delicious, and addictive! German Christmas begins with some Gluhwine, provided by my friends at German Delights! 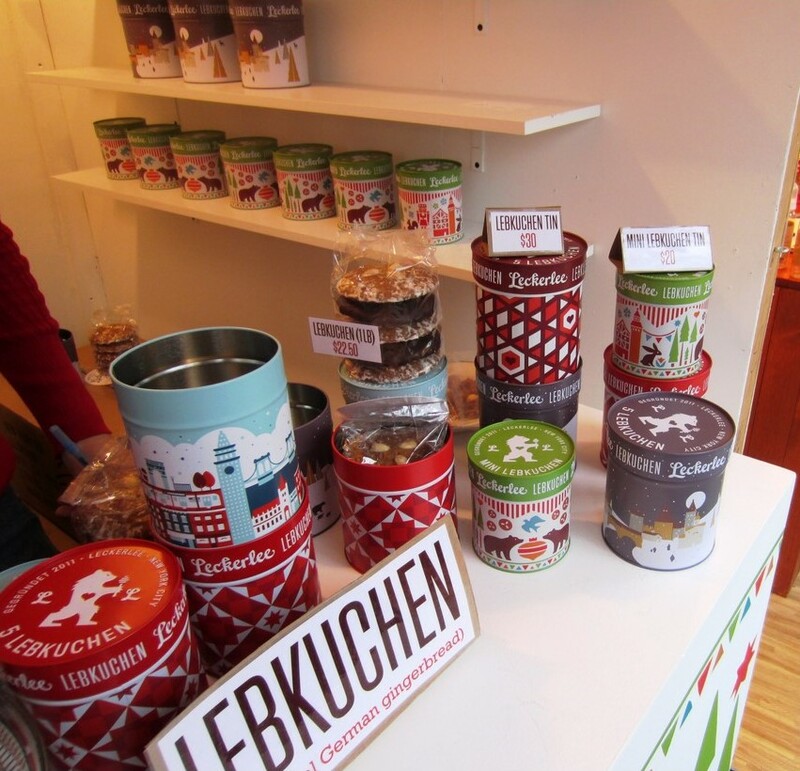 Sandy Lee's lebkuchen is lecker! Thanks to Leckerlee for being a standby favorite for years! Pairs well with gluhwine! I just love this picture, but if we stop at Breezy Hill Orchards, it's because we're getting their delicious Hot Apple Cider to guide us across the park! Bread is the source of life, and this Cafe d'Avignon is a great source of comfort as they pack their goods with simple, delicious ingredients and often: cheese! Little bites of heaven from Doughnuttery are always a delight for my guests! I like to send my guest's off with something sweet to eat whenever they're ready for it! What better way to fill their bellies with joy than with creamy and flavorful seasonal cupcakes from Billy's Bakery?! Trust me--they'll blow Magnolia out of the water! Whatever you celebrate or don't, I hope that you have a wonderful finish to your year and that I get to feed you in the new year! 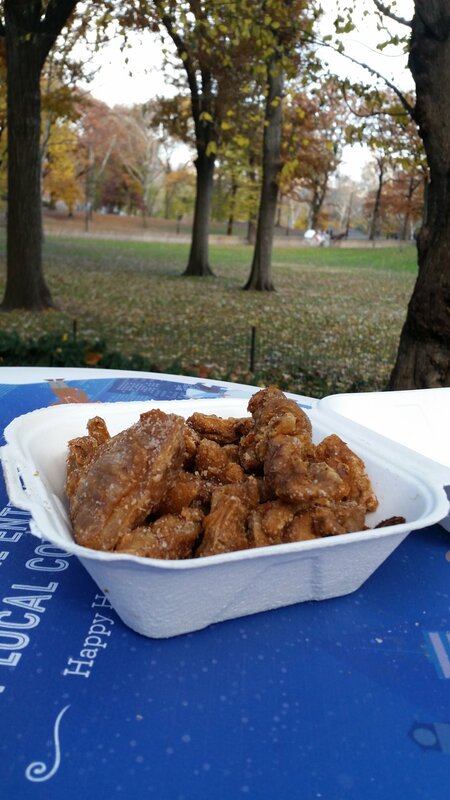 Lots of love, grub, and NYC dreams to you and yours! 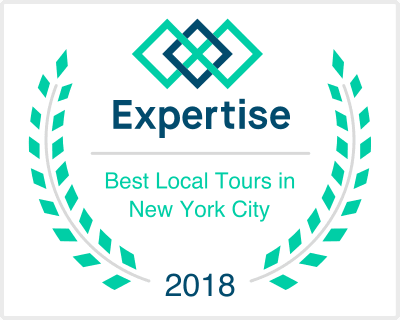 Newer PostFood Tours for Everybody! Older PostHOLIDAYS ARE HERE AGAIN!